Winter landscape with fair trees under the snow. Scenery for the tourists. Christmas holidays. 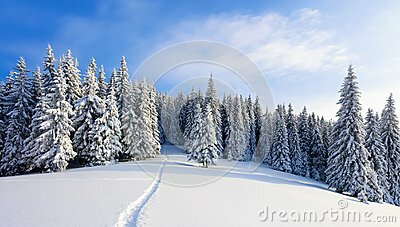 Winter landscape with fair trees under the snow. Scenery for the tourists. Christmas holidays. Trampled path in the snowdrifts.